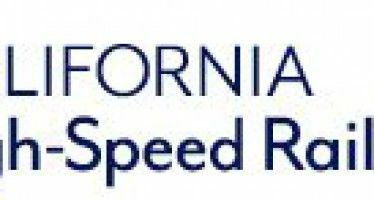 The shoe’s on the other foot for Consumer Watchdog (no connection to CalWatchdog.com). Routinely critical of state regulators for failing to protect consumers, the consumer advocacy group has been criticized by an independent oversight panel for presenting “incorrect” and “misleading” information to the public. “We have some of the toughest environmental laws in the nation, and some of the weakest enforcement,” Consumer Watchdog concluded, based on its 2013 Golden Wasteland report. 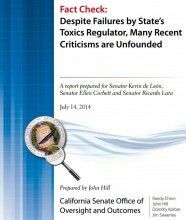 A new report by the California State Senate’s Office of Oversight and Outcomes, “Fact Check: Despite Failures By State’s Toxics Regulator, Many Recent Criticisms are Unfounded,” analyzed claims made by Consumer Watchdog. Consumer Watchdog’s claims, which generated headlines across the state, concerned state Sens. Kevin de León, Ellen Corbett and Ricardo Lara. De Leon is the Senate’s president pro tem. In July 2013, the Democratic lawmakers tasked the state Senate’s independent research arm with investigating Consumer Watchdog’s allegations. One example of a misleading claim cited by Senate investigators involved whether the Department of Toxic Substances Control had jeopardized the public by failing to shut down an oil-recycling facility in Newark, California. Senate investigators found that Consumer Watchdog’s account of the Evergreen Oil case omitted key information. Consumer Watchdog responded with a rebuttal to the state Senate’s investigation: Criticizing the Legislature’s past performance in oversight, while defending the report for verifying some of its claims. Coming to Consumer Watchdog’s defense is a group of housing advocates organized by a project of the Center on Race, Poverty & the Environment. Steve Maviglio, a Democratic strategist and frequent critic of Consumer Watchdog, pointed to the state Senate’s findings as validation of his extensive research into the nonprofit. In Maviglio’s view, Consumer Watchdog’s research has been biased by funding sources, most of which it refuses to disclose. That leaves some critics deeply suspicious of any claims made by the organization. Will Brown Mess With Anti-Quota Law?